Go to any advancement, development, or fundraising conference today and you are sure to see it. Peruse any blog, article, webinar, or workshop and you are certain to read and hear about it. As a professional, you are told to do more “donor engagement.” Better “donor engagement,” so the advice guarantees, will lead to increases in gift income, donor numbers, event attendance. . . and the list goes on and on. In some ways, it’s like “donor engagement” is the elixir for all that ails the fundraising world. Just engage more donors and life will be much better. There is just one problem: Nobody, it seems, has a good answer on how to do “donor engagement” better. In truth, the phrase “donor engagement” has become so ubiquitous and tired it has grown to mean everything and nothing all at once. It has become a phrase that is easy to say, but devoid of real value to our work. It simply has become unhelpful for our practice. Having said that, though, there is something that Gonser Gerber encourages all institutions and organizations to do more. If you are seeking to increase your gift income; if you are wanting more people at your events; if you strive to have the total number of donors increase over time, there is a solution — Invite more. Invite more people to share their insights, experiences, and perspectives. Invite more people to speak about why your organization and institution matters to them. Invite more people to give more generously. Invite more people to serve. Invite more people to volunteer. Invite more people to be a part of a cause – your cause, your mission. Unlike “donor engagement,” inviting is a very specific act. It’s a task. It’s something that fundraising professionals can (and should) take action on right now. When we invite more donors and prospective donors in meaningful ways, we are opening our organizations and institutions to them and we are communicating, “You (not just your gift) are needed and welcomed here. Come be a part of something that is transforming and changing lives.” We are inviting them to experience the joy of giving in support of something bigger than themselves. We are inviting them to be more connected. We are inviting them to care more deeply. And, yes, when we invite more people, more of them will become “engaged.” Whatever that might mean. This article was originally published in our March 2019 Gonser Gerber E-Bulletin. To learn more about our Bulletin, or to subscribe to our mailing list, visit our website http://www.gonsergerber.com/services/institute/bulletin/. Jason McNeal, Ph.D., Gonser Gerber partner, has provided advancement leadership to non-profit organizations for more than 20 years. 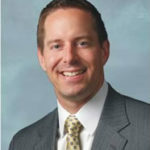 Having served as the chief advancement officer at East Georgia College and Maryville College (TN), he also has consulted with institutions throughout the U.S. and Canada. Dr. McNeal has written extensively on key issues in non-profit fundraising and leadership including his blog that you can find at http://www.jasonmcneal.com.